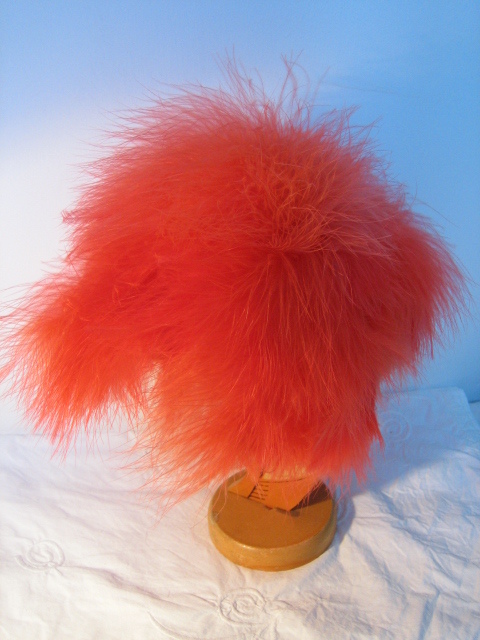 Funky vintage 1950s or 60s orange feather hat. 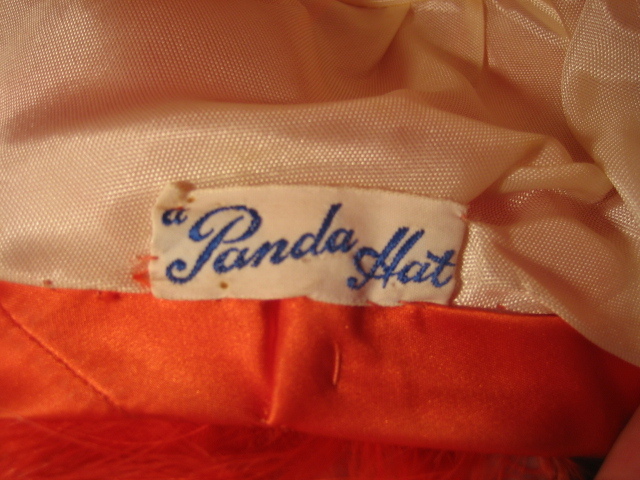 This is an amazing hat! 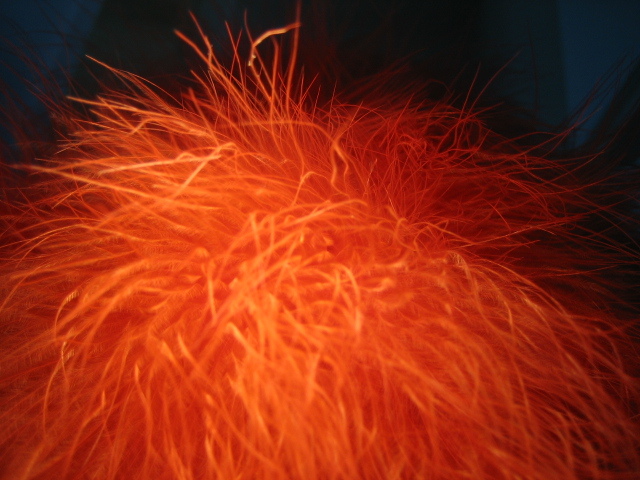 Bright orange feathers waft gently as you wear it! 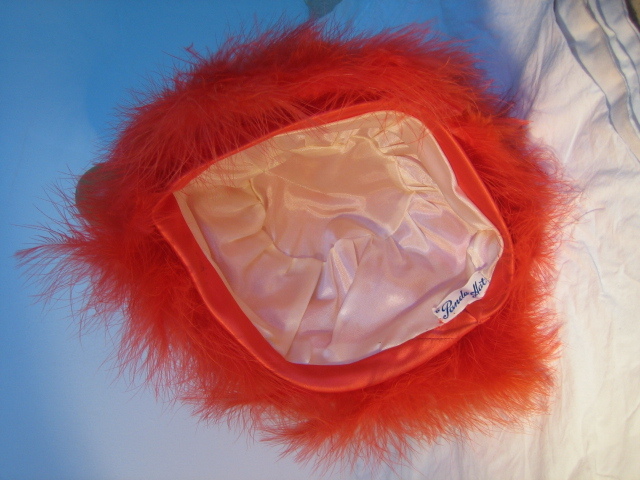 The base is a white silky fabric, very clean, and the feathers are in perfect condition - it appears to be unworn. I'm not sure of the age: the shape, fabric and style are all typical of the fifties, but the colour is verging on the psychedelic, which makes me think it may be later. 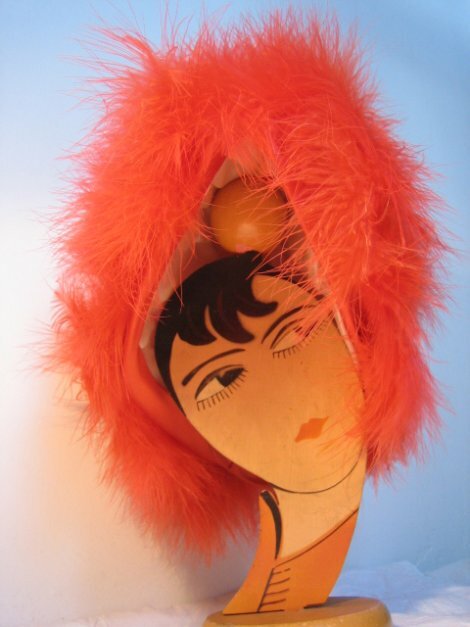 Wear it and turn heads, or use it as an unusual interior piece - wouldn't it look great on your dressing table, or draped nonchalently on a hat stand? I have never seen anything like this before, and neither will you have! 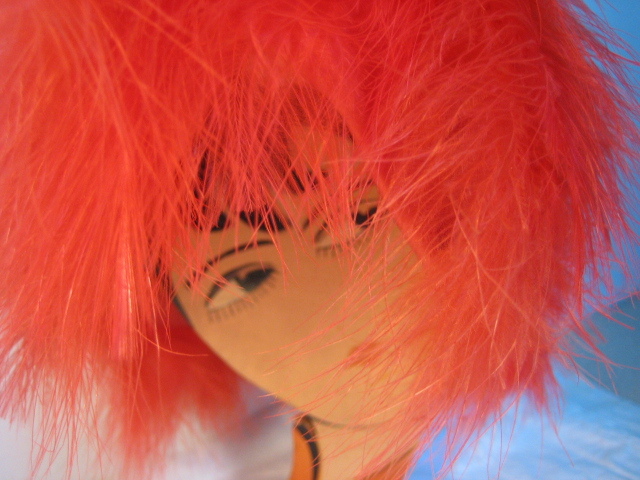 To be honest, it's so funky I'd keep it myself if it didn't clash with the hair - it's just gloriously silly! Approximate circumference is 22 ½ inches / 57 cms.